Lin-Manuel Miranda is the Tony award winning playwright and champion of immigrants who created and starred in the much-celebrated play Hamilton. The production opens with the song “My Shot.” A young Alexander Hamilton, recently arrived in the US, sings “I’m young, scrappy and hungry” and “I am not throwing away my shot.” Alexander Hamilton dreams big and is incredibly hard working. From the outset of the play he declares that he will get a college scholarship and make something of himself as the new country is born. This past month, many of us at Ellevation were fortunate enough to meet five incredible young people who reminded us of Hamilton’s powerful example. 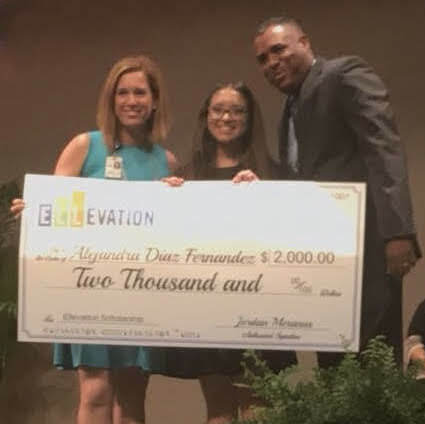 While we may not have known their names when we founded Ellevation in 2011 to help English Language Learners achieve their highest aspirations, we certainly had in mind young, scrappy, and hungry students like Alejandra Diaz Fernandez, Cing Lun, Maria Perez, Linett Silva Tejeda, and Niehsa Simon. 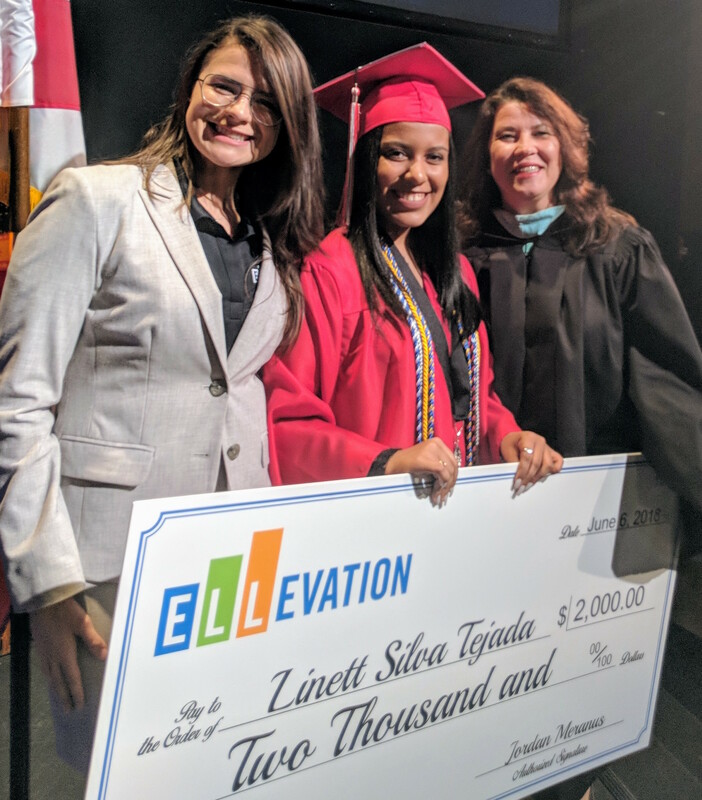 This year, Ellevation made a commitment to provide 5 English Language Learners with $2,000 scholarships to help as they enter college. We asked educators all around the country to nominate students. While we received many incredible applications, Alejandra, Cing, Maria, Linett, and Niehsa were particularly incredible. Throughout history, young people from all over the world who dream big, work hard, overcome obstacles, and get up when they get knocked over have played a major role in advancing the American experiment. For young people who are not native English speakers, the obstacles to advancement can be particularly daunting. These students, often in under-resourced schools, must not only master challenging content but must also learn the English language. And when they do, they serve as an inspiration for other students who look like them or have similar backgrounds, and for all of us who care deeply about ensuring that young people with great potential have the opportunity to thrive. This is why it is important, and a real pleasure, to celebrate the students who have indeed worked hard and are set to make the important transition to higher education. The historian Arthur M. Schleginger Jr. once wrote, “The genius of America lies in its capacity to forge a single nation from peoples of remarkably diverse racial, religious and ethnic origins.” Alejandra, Cing, Maria, Linett, and Niehsa are indeed remarkable and we cannot wait to see how they contribute to their families, communities, and country in the future. 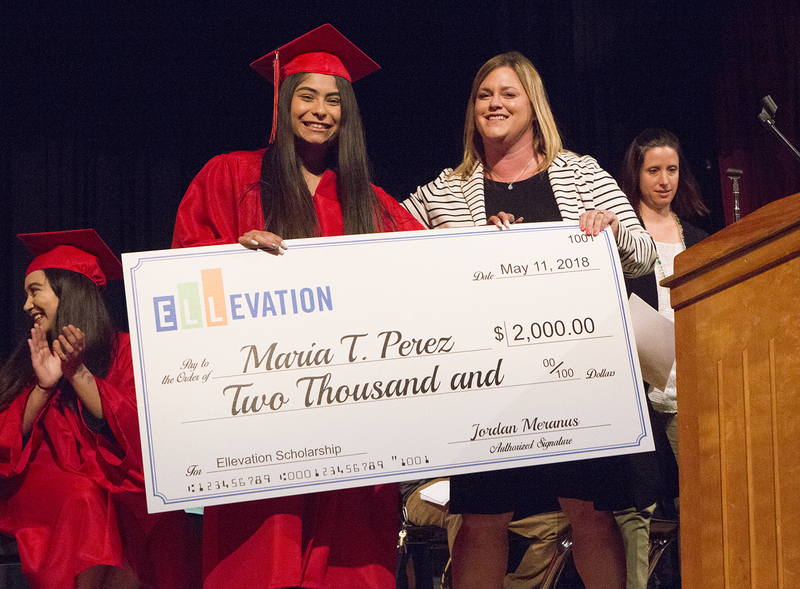 Congratulations to this year’s recipients of Ellevation’s Take the Pledge Scholarship! Alejandra graduated from College Academy at BC in Davie, FL where she was Vice President of the Broward College Science Club, Captain of the Broward College Brain Bowl, and member of the National Honor Society. She will be attending University of Forida, Gainesville this fall. Maria graduated from East Central High School in Tulsa, OK where she was the recipient of the Tomás Rivera Award and Female Athlete of the Year. She was also a member of the National Honor Society and Student Council. She will be attending the University of Oklahoma this fall. She will be attending Florida Atlantic University this fall. 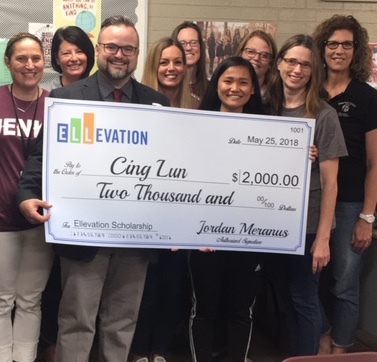 Cing graduated from Jenks High School in Jenks, OK where she was a translator for ELL elementary school students and a member of Key Club. She also volunteered in Sunday School Outreach and Far East Mission Church. She will be attending Tulsa Community College this fall. 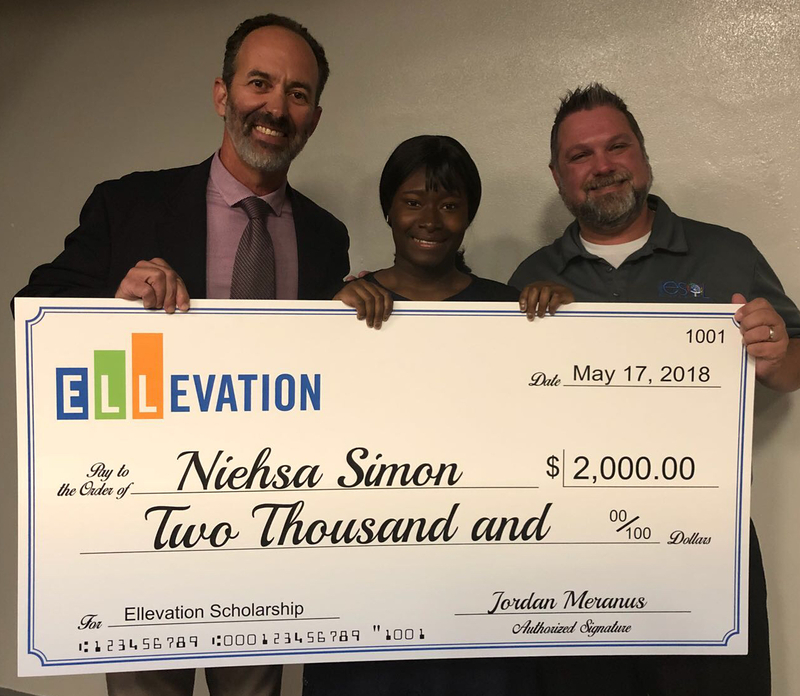 Niehsa graduated from Northeast High School in Oakland Park, FL where she won the Good Citizenship Award as well as Academic Achievement Awards. She was also a member of Mentoring Tomorrow's Leaders, First Priority, and Air Force Junior ROTC. She will be attending Broward College this fall.